Quick, simple, healthy, and affordable. 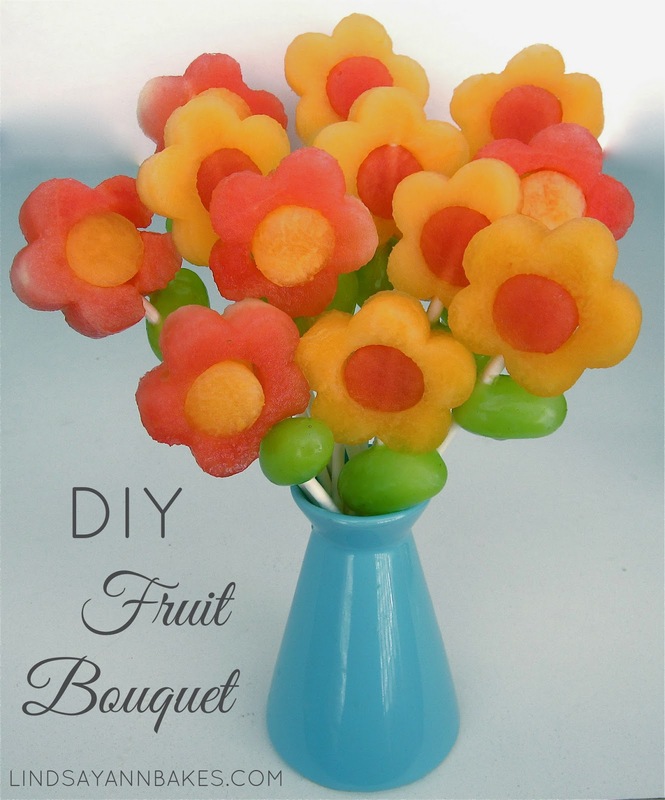 Specialty shops charge a fortune for fruit pop bouquets, but now you can make them at home for a special and unique alternative to real flowers. I made these for Mother's Day this year because my Mom prefers when I bring her treats on the healthier side, after all the years of chocolate, candy and cake. These flowers are also great for Valentine's Day, Summer picnics, to say "thank you", "Congratulations", or any occasion! Save all the scraps and cut them up for a delicious snack!